Poliça is headed to Lollapalooza this weekend with some news that will lift its profile even higher: Mom + Pop Music -- a New York indie label affiliated with the likes of Andrew Bird, Metric and Tokyo Police Club -- has signed on to re-release the Minneapolis band’s debut, “Give You the Ghost,” on Aug. 14. The new edition of the record will be bundled with a remix EP, featuring album tracks reimagined by the likes of Gardens & Villa (whose version of “The Maker” is posted below). Working with Mom + Pop should be another learning experience. 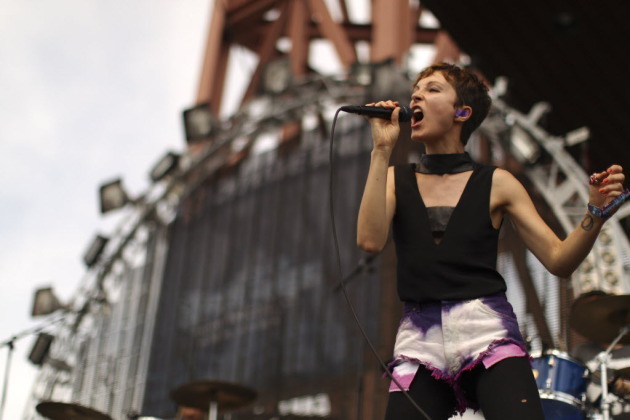 Poliça, however, doesn't seem to be changing up the rest of its game plan. After next weekend’s outdoor gig at Cabooza Plaza, the quartet will continue to tour heavily upon the album’s re-release, with dates going into October everywhere from the Austin City Limits fest to New York’s Webster Hall.